“Cancer House”: Is Station 31 making Seattle firefighters sick? 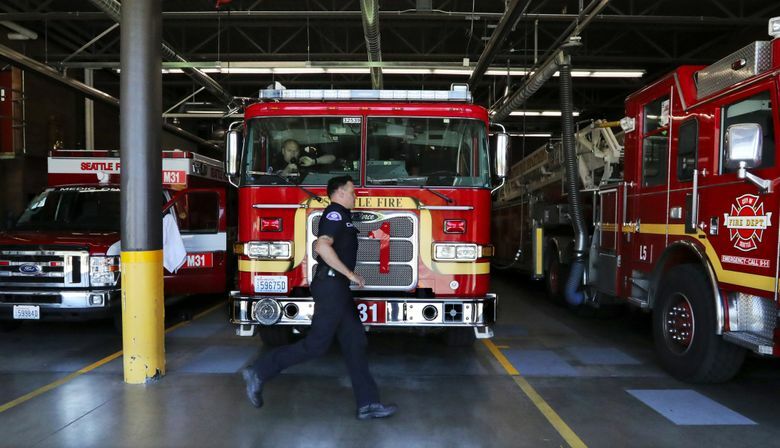 Seattle firefighters have long worried that the Northgate station where they rest, barbecue and recharge between calls might be making them sick. Studies have shown firefighters in general are at higher risk because of exposure to carcinogens, but after the most recent cancer diagnosis for a Station 31 firefighter, “we would like to know if we’re causing that ourselves,” the fire chief says. Researchers at the Fred Hutchinson cancer center are digging deeper. Four more boys were rescued today from the Thailand cave where members of a soccer team are trapped, bringing to eight the number saved in the dangerous operation. With rescue attempts done for the day, only four boys and their coach remain in the cave. Follow the story and see a new video showing rescuers deep inside the cave. And remember “Baby Jessica” and the Chilean mine miracle? Here’s a look at underground rescues that riveted the world. Interim Seattle Police Chief Carmen Best will likely get the job permanently. This is a stunning reversal of fortune for Best, who six weeks ago was excluded from a list of finalists, enraging her supporters and the union representing the police rank and file. Here’s how Best went from out of the running to front runner. Today is the deadline to register online to vote in Washington’s Aug. 7 primary election; here’s how. (You can register in person until July 30.) State officials are ramping up their defenses against election hackers, even getting ready to bring in National Guard cyber squadrons. The president will announce his Supreme Court pick tonight around 6 p.m. our time, likely setting up a momentous confirmation vote in the divided Senate just weeks before the midterm election. President Donald Trump has reveled in building up the suspense as other controversies swirl around him. Here’s what to expect in the battle ahead, plus a look at Trump’s final four. Check back here for updates tonight or get the news in our Evening Brief newsletter. Sue Bird became the Storm’s all-time leading scorer — and one of only eight WNBA players to join the 6,000 club — as the team yesterday took over first place in the WNBA with a 97-91 victory over the Washington Mystics. Bird clearly has a solid spot on our new list of the most important athletes in Seattle history. Who would be on your list? Cast your vote, and we’ll release readers’ top-10 list on Friday. 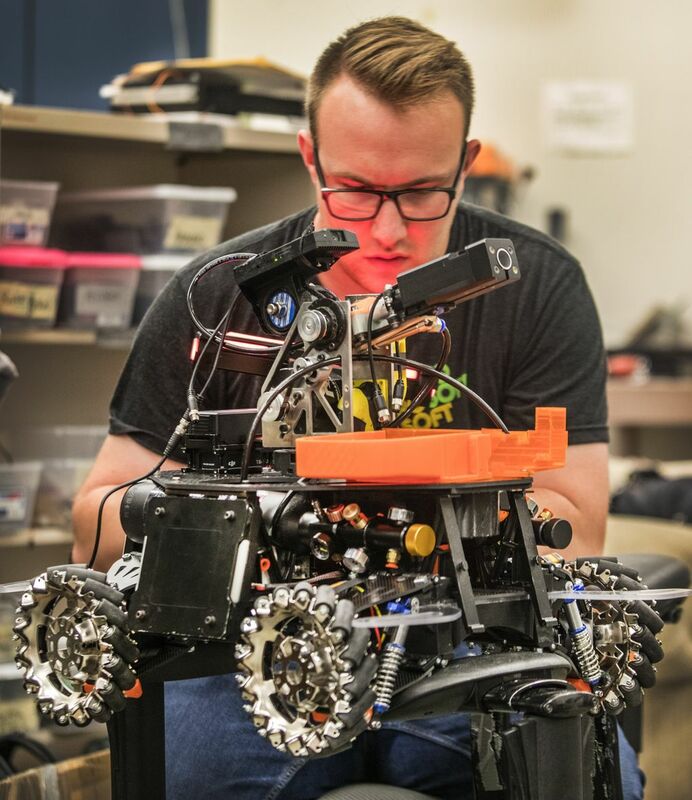 UW students are taking their army of fighting robots into fast and furious battle at the world’s largest student robotics competition this month. Take a look at how the club put together its “ridiculously strong,” projectile-spewing robots. Seattle City Light wants to hike rates 30 percent by 2024. The City Council will vote today on a new plan that could raise residents’ bills by an average of 4.5 percent annually as demand for power declines, despite Seattle’s growth. Chandler’s Crabhouse is closing, ending its three decades in South Lake Union after reportedly going through more live Dungeness crab than any other restaurant in the U.S. And in the University District, the last day for the very first Pagliacci Pizza is coming up, with free pizza for everyone. Sideline Chatter: Mariners closer Edwin Diaz getting 50 saves might prove easier than getting his manager, Scott Servais, to pay off their bet by climbing into a barber’s chair, Dwight Perry writes. Servais’ daughter Jackie tells the world why. Does it drive you crazy to see those orange traffic barrels blocking a lanefor commuters from I-90 to northbound I-5, even when there’s no active construction? We’re hearing complaints, but the state says there’s a reason for the barrels, part of a multimillion-dollar project to repair sections of roadway. Washington state is vulnerable as the trade war escalates between the U.S. and China. Thousands of farmers here who grow cherries, apples, pears and wheat are bracing for steep tariffs. Here’s what that could mean for consumers. A suspected DUI driver crashed into a State Patrol trooper’s car yesterday on State Route 525 in Lynnwood. The fiery crash sent the trooper to the hospital. Starbucks says it will eliminate plastic straws globally by 2020. You might have already noticed “strawless” lids (an adult version of a sippy-cup lid) on some cold drinks. PCC and McDonalds have joined the anti-plastic party, too. Starbucks’ announcement today kicked off a busy week in Northwest business news; here’s what else is happening. Tim Eyman has been on the ropes many times. But this feels different, columnist Danny Westneat writes. Even the longtime initiative promoter is suggesting that his latest measure — a return to one of his old favorite subjects — might be his last stand. A new leisurely read for your inbox: Our Pacific NW newsletter showcases stories from Pacific NW magazine, featuring deep reporting, compelling storytelling and powerful visuals, delivered to your inbox on Sunday mornings. Sign up here. The booming economy has not been kind to families on the low end of the income spectrum, as housing costs eclipse paychecks. But thanks to Hopelink, YMCA Seattle-King-Snohomish, the Seattle/King County Coalition on Homelessness and the generous readers of The Seattle Times, back-to-school time is less grim for thousands of families. Mostly cloudy. High 74. Low 57. Sunrise 5:21. Sunset 9:07. Seattle-Tacoma International Airport’s passenger terminal is dedicated in 1949, with Gov. Arthur Langlie warning eagles and hawks to move over for “we, too, have at last won our place beside you in the firmament of heaven.” The first runway is finished in 1944 and used primarily by the Army Air Force until World War II ends. Significant commercial passenger service begins in 1946 with four airlines: Northwest, United, Western and Pan American. After the dedication program, Northwest’s first Boeing Stratocruiser airliner is christened.